Have you ever been to a land foreclosure sale? The one I went to quite a while back was an interesting auction. It wasn’t a government auction, but the prices were low. I missed my bid on a lakefront lot by $200 which went for $2400. Land foreclosures allow savvy investors to purchase a piece of land in order to build a dream house, lucrative commercial property and more. If you have cash on hand, land foreclosures allow you to get a bargain price on prime property. Land foreclosures are pieces of property that were financed and the owners have defaulted on payment of the loan. As a result, it has been repossessed by the lender. The lender, however, does not want the property. They want money for the property. Because they are looking for a new buyer they are often willing to let go of it for below appraisal price. Sometimes it is well below the appraisal price. The longer a lender has land foreclosures on their books, the more eager they are to dump them. Whoever owns the land must pay the property taxes. Because this land is not generating any income for the lender, it represents a net drain. That is why lenders are so eager to get rid of land foreclosures. Also land is harder to sell and finance so almost no one wants to hold foreclosed land any longer than necessary. You can buy land foreclosures at three stages. The first stage is pre-foreclosure. In pre-foreclosure, the original owner still owns the property but is behind on the payments. If they can arrange a sale with an investor, they may be able to save their credit. The lender is motivated to work on the terms of the sale with the investor because they do not want to take on responsibility for the property if the owner walks away. 1. A conveyance of an interest in property as security for the repayment of money borrowed. In many ways, you are doing everyone a favor when you buy a piece of property in pre-foreclosure. The land owner gets to walk away with their debts clear. The lender or bank does not have to assume the property. And, you get a deal. If no pre-foreclosure sale is made and the owner defaults, the lender must pursue a foreclosure which ends when the property is sold at auction. Land foreclosures can often be picked up for a song on the courthouse steps. But, often there are no buyers at auction and the bank buys the property themselves. At this point, they will publish a list of land foreclosures that they are willing to sell at a discount just to get them off the books. Typically, investors pick up land on the bank’s books for 20 percent or more off the appraisal price. That’s not such a good deal so if you are looking for a bargain you need to get far more than a 20% discount off appraised value. If you are planning to invest in land foreclosures, it is important to become familiar with the process of buying. This is a unique form of real estate investment and there are many traps for the novice buyer. You should know that up to 85 percent of short sales never go through – largely because the investor either doesn’t know the process well enough to carry it out or because their own financing falls through. Read up on land foreclosures and learn of the details of land foreclosures in your state. The procedure is different in some states. Depending on the sale procedures and requirements of your state and taxing authorities there could be existing liens that stay on the property through foreclosure. So look out for existing liens, if they can exist. This is more of a problem with improved property, but it never hurts to be sure. Land foreclosures can be a good way to build your wealth. You may be able to get your dream property for a song and a dance. But, if you are unprepared to finish the deal, be prepared for a lot of heartache when it comes to land foreclosures. Also be sure to consider the taxes if you are planning to keep the land empty for a long time. For example, I’ve owned a bare beachfront lot for over twenty years and the taxes have eaten well into any potential profit I could make by selling it. In some areas and situations, i.e. homeowners associations, you may have to keep the grass/weeds trimmed. This is not a problem if you live there, but can be a big problem if far away. Do your homework when considering foreclosed land and you could be well on your way to finding that great piece of land at a great low price. 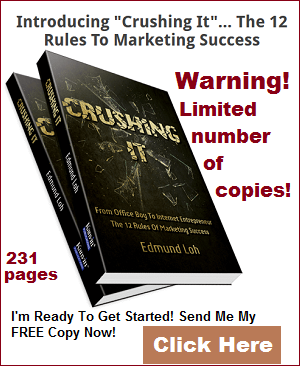 Charles is studying how to command success and luck in life and Online Marketing.